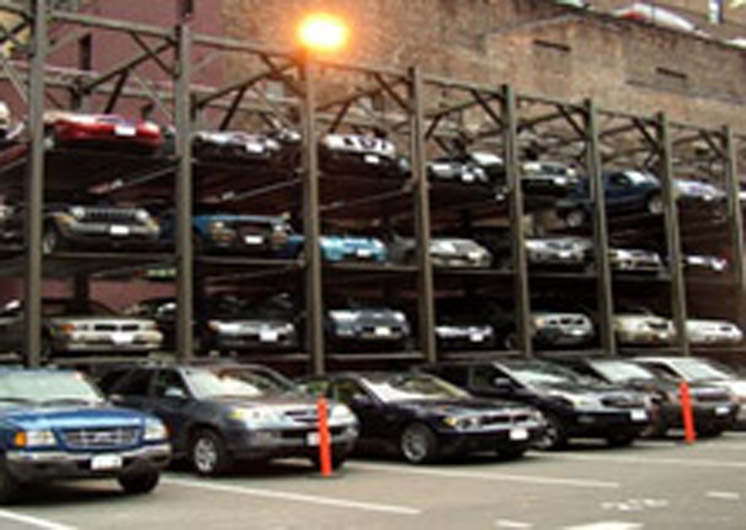 PF Parking has partner with a leading lift company AMERICAN LIFTS. We design and install lifts in both indoor garages and outdoor lots. 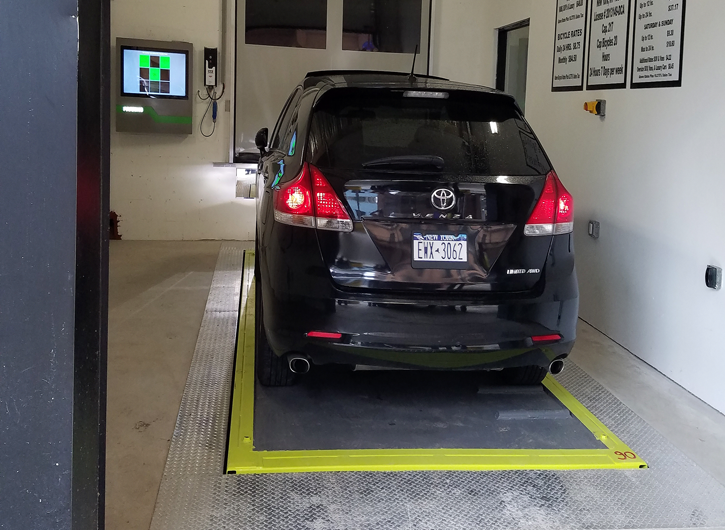 Design and install robotic garages to maximize the space and increase revenue for both operator and owners. 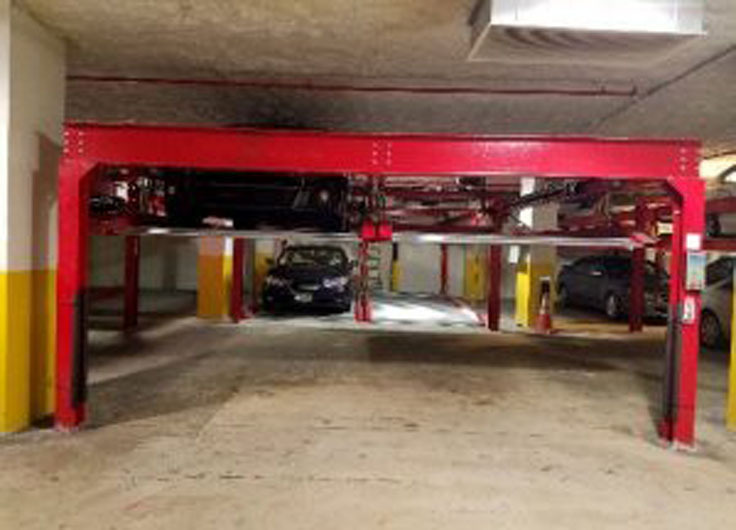 The No Post Parking system includes a structural framework from which a vehicle platform is suspended. This system is designed to vertically stack vehicles up to 4 high. It is available as a four-post hydraulic or electric machine and requires a reinforced concrete base. No need to move any cars. The lift will do it for you. 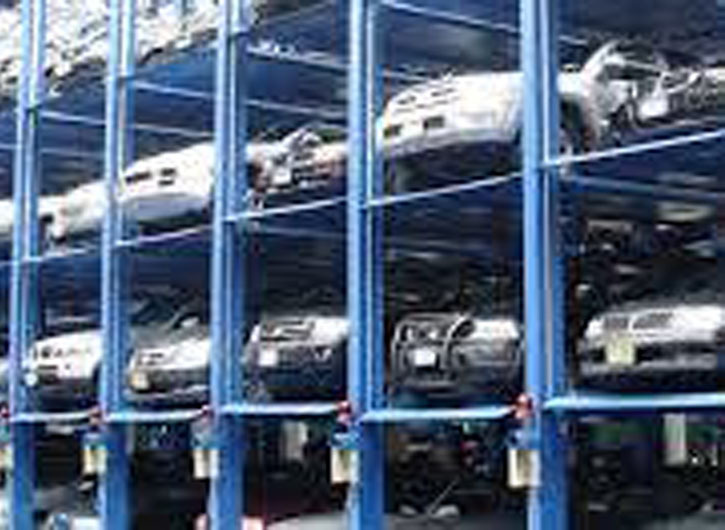 Quick Automated Parking and retrieval of vehicles. Up to 12 cars or 10 SUV’s can be easily and safely parked. Surface space required equivalent to just 2 surface car parking spaces. Most suitable for Staff or dedicated user parking. Engineered to ensure driver safety by use of an electronic safety zone. Minimal maintenance levels required by the system. No parking attendant needed. Easily constructed in a small area requiring a simple concrete base and 3 phase electricity. This system is cost effective when extra land for surface parking is not available. Minimal maintenance levels required by the system. No parking attendant needed. Easily constructed in a small area requiring a simple concrete base and 3 phase electricity. This system is cost effective when extra land for surface parking is not available.